From coffee cups to baby bibs, the Rorschach-inspired inkblot is saturating the design landscape. 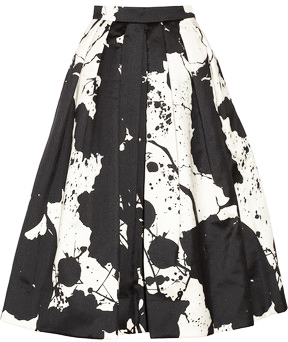 I was slow to jump on the inkblot design bandwagon until I fell in love with a silk paint-splattered skirt designed by Tibi. 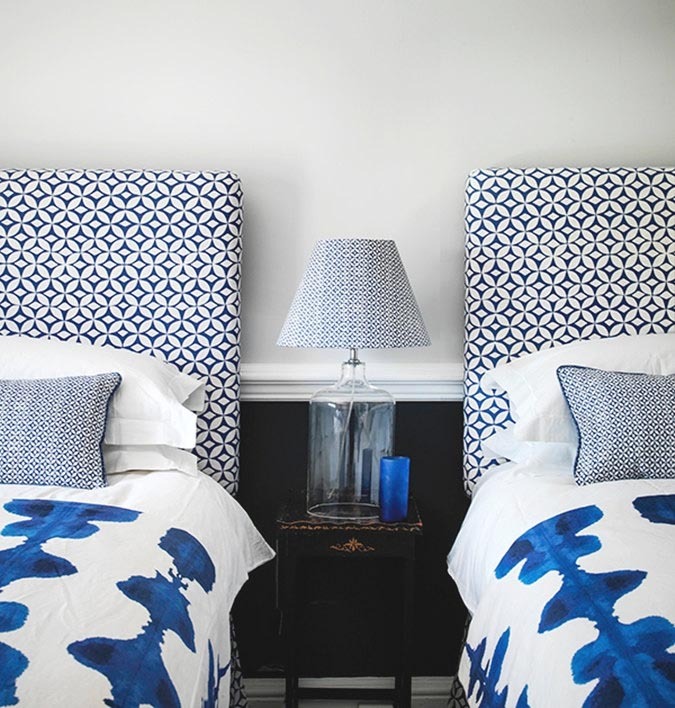 Look to the runway for a preview of home decor trends to come. 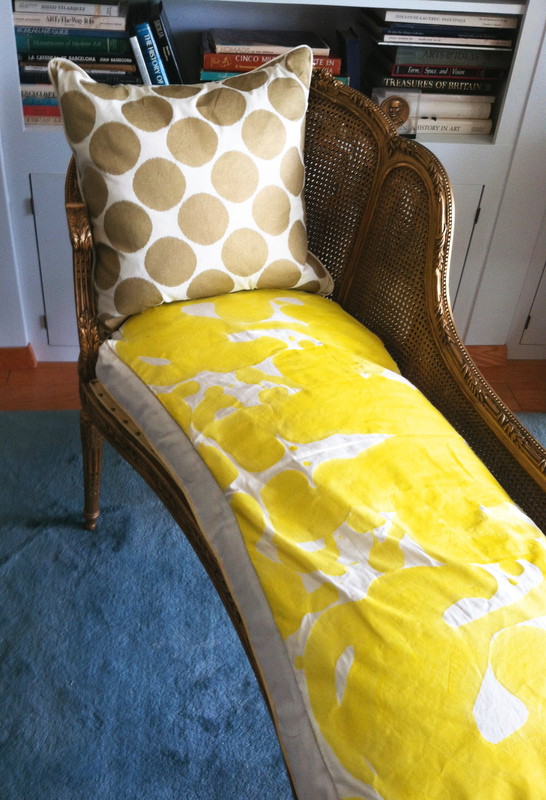 My mother handed down a vintage gold chaise lounge, which needed a modern update to fit into my beach cottage decor. 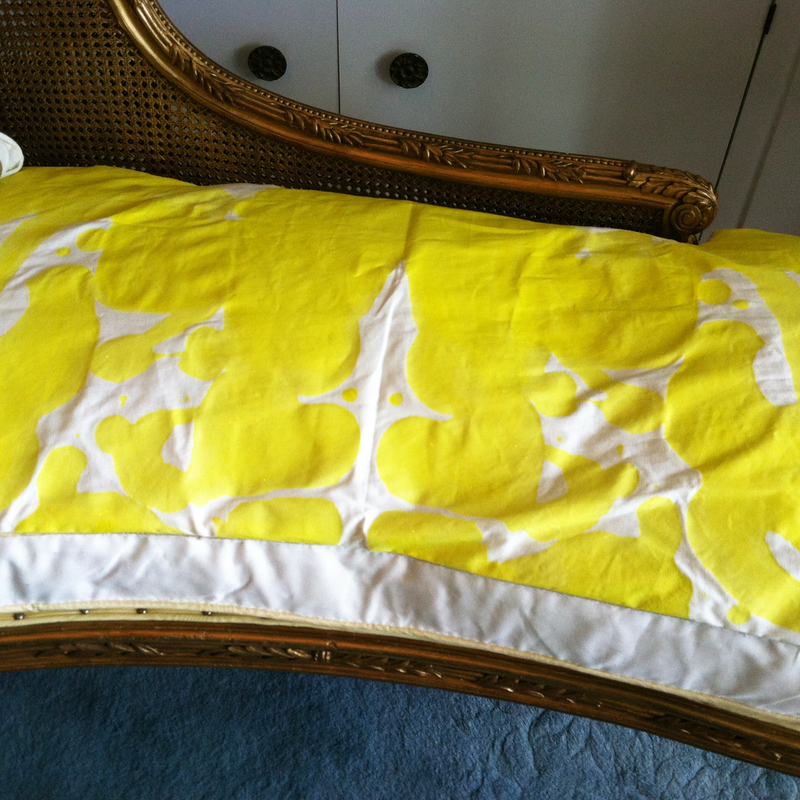 I decided to create a custom, modern inkblot pattern to contrast with the traditional lines of the chaise. • Measure and cut fabric to fit your furniture piece. Prewash and dry a medium-weight cotton or silk fabric. It is important to get rid of the chemicals that are in new fabric, and you want to pre-shrink it. • Mix 2 parts acrylic paint, 1 part water, 2 parts fabric medium into a large condiment squeeze bottle (find them at a dollar store). You want the paint mixture to be very thin and runny. 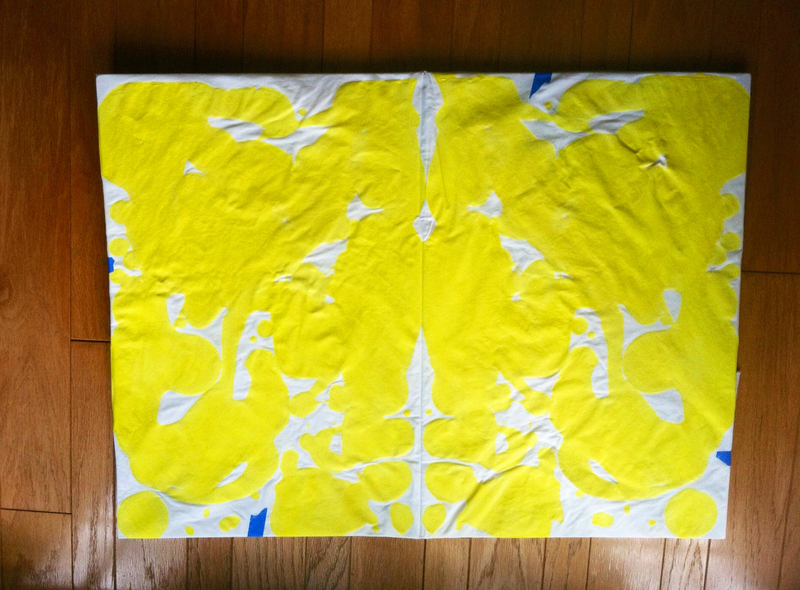 • For this project, I used Martha Stewart acrylic paint in Meyer Lemon and fabric medium. Fabric medium will keep the paint finish flexible and soft, not brittle or flaky. • Lay down a large tarp to protect your working surface. 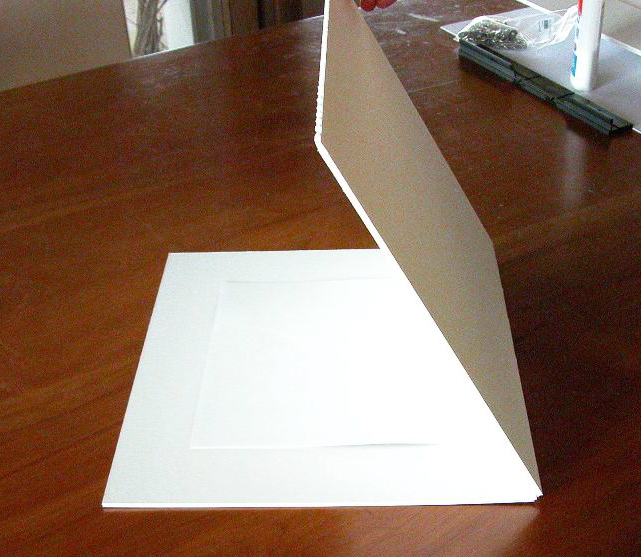 Tape 2 pieces of foam core board together down the center so it can easily fold onto itself. Cover the front of the board with a plastic garbage bag that is stretched and taped down to eliminate any wrinkles. The plastic prevents the drying paint to stick to the top paper layer of the board. • Stretch fabric over the front of the board securing the salvaged edges onto the back with masking tape. It is important that the fabric be as smooth and tight as possible. • On only one half of the fabric front, pour random splatters, squiggle, dots and drips from the paint-filled squeeze bottle. Pour paint close to but not over the center fold. • Carefully fold the board so the unpainted half meets the painted half. Press firmly and make sure the paint is completely smoothed out and is evenly transferred to the other half of the fabric. • Here is the fun part. Carefully open up the foam core board to reveal your inkblot masterpiece. Let completely dry. To permanently set the fabric, most paint companies suggest putting it in the dryer or ironing it on the reverse side. I think I will tackle painting a set of curtains next…enjoy!